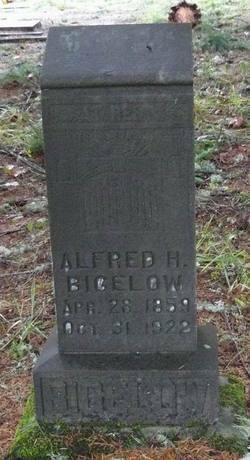 This is the gravestone of Alfred H. Bigelow at Sears Cemetery. He was the first Postmaster of Dorena. Sears Cemetery is the largest cemetery in the Row River Valley. The story of its origin is sad and touching. Sarah Alexander was a young wife and mother in the Valley back in 1852. She had consumption and knew that she was going to die soon. She wanted to pick out her own grave site, so she selected a lovely spot under an oak tree on a hill in view of her home. 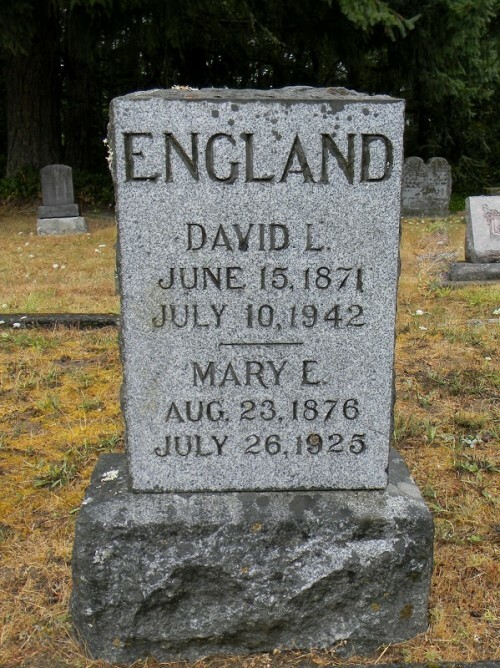 She was buried there 5 months later. The spot became Sears Cemetery. 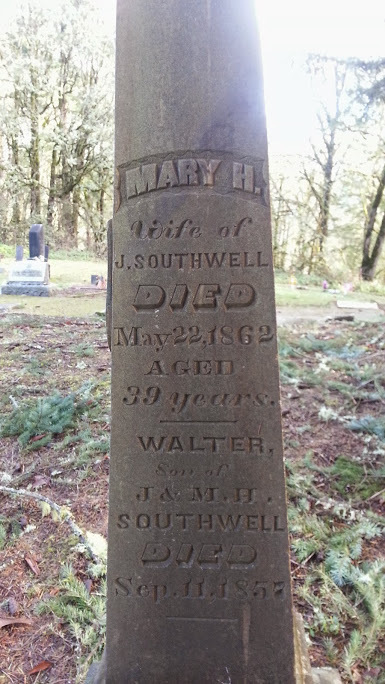 The gravestone of Mary Southwell and her son Walter. The feud between the Southwell and Clark families gave the Row River Valley its name. 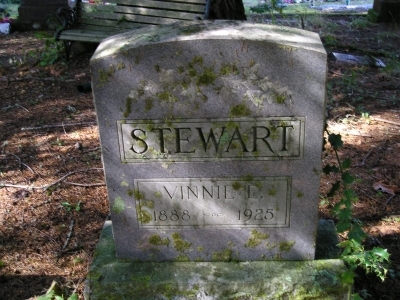 Vinnie Stewart was the daughter-in-law of early pioneer Bake Stewart. The Hunt Cemetery is a pioneer family cemetery near Wildwood Falls. There are a total of twelve graves here, mostly members of the Hunt Family. 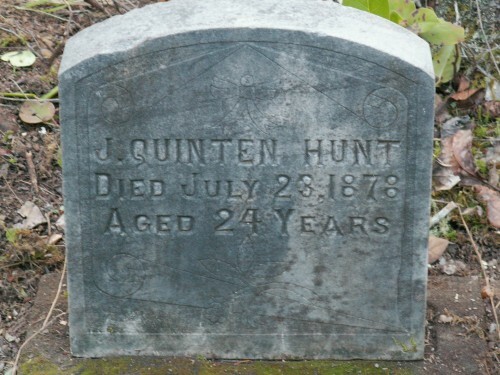 Quinten was the first of the Hunt Family to be buried there. 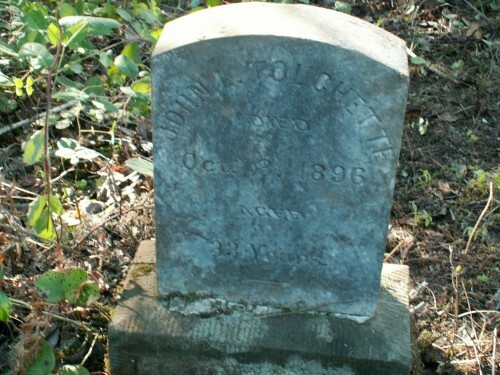 The Touchette brothers share an unusual grave site in the Hunt cemetery. They are buried head to head and each has his own side of the tombstone. John Touchette built a mill at Wildwood Falls in 1895 and was dead a year later. There is also a Doolittle Cemetery near Cerro Gordo. Six members of the Doolittle Family are buried there.